The Grand Union Benefice is a group of Anglican (Church of England) parishes located in South Northamptonshire, which straddle the Grand Union Canal. 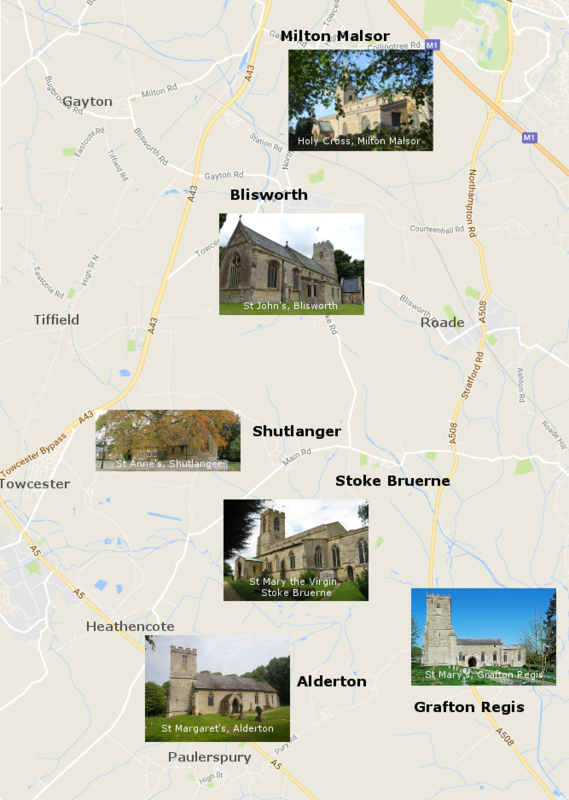 The parishes are Alderton, Blisworth, Grafton Regis, Milton Malsor, Shutlanger and Stoke Bruerne. The benefice was formed when Alderton was annexed to Grafton Regis in 1774. It grew to include Stoke Bruerne and Shutlanger in 1953, Blisworth in 1997 and Milton Malsor in 2009. The Grand Union Benefice is in the Towcester Deanery, Northampton Archdeaconry and the Diocese of Peterborough.